Reserve Bank Governor Raghuram Rajan has dismissed the notion that the rural employment guarantee programme is behind the massive spurt in wages in rural areas. "On the NREGA (National Rural Employment Guarantee Act), there is clearly a lot of sense that this has increased rural wages tremendously. I would argue that clean, trustworthy studies say that the effect was may be 10 per cent," Rajan told an audience here last week. It is other factors such as rise in minimum support price of food items, better realisations for food commodities in the international markets, shift of labour to the building industry due to a spurt in construction activity, coupled with a gradual withdrawal of women from the workforce due to a myriad of reasons, have caused the spike in wages, he said. "Women instead of working in fields or working as agricultural labourers at the younger end have gone to schools and at the older end moved back into households. That is not an entirely bad development; in fact that reflects the greater wealth in rural areas," Rajan said. A large constituency of people has been blaming the wage guarantee programme started by the previous UPA regime for the rise in rural wages. According to some critics, this is leading to a wide variety of issues, including some loss to the productive sectors. Following the rural jobs scheme, introduced in the run up to the 2009 hustings, rural wages have nearly doubled on an average and more than doubled in certain states, which pushed the process of food articles as the cost of production of food items also went up. 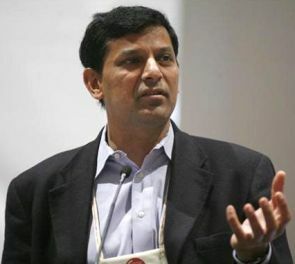 Rajan, who has otherwise been advocating the need to control fiscal imbalances, however, strongly defended the welfare programme. "There is an old view that you need the potential worker to be starved to make him come to work. It is not a modern view. What you want is a healthy, well educated, skilled worker today. We need to ensure that people have the ability to build up on those capabilities," he said.